The Regent grapes being the core of this blend were harvested in early September. We picked them earlier as we did the year before aiming for ripe but not “bursting” grapes. The grapes were destemmed but the berries not crushed to get a bit of a carbonic effect. After a week the must was pressed and the juice kept fermenting in steel. The wine was racked once around Christmas and blended before bottling with 15% of Domina we had kept from 2015. Sometimes two wines are a natural match. The Regent vines grow in Sulzfeld (just a few kilometers away from our winery) on shell limestone. Domina grows close to the winery, also shell-limestone but a lot steeper and rockier. 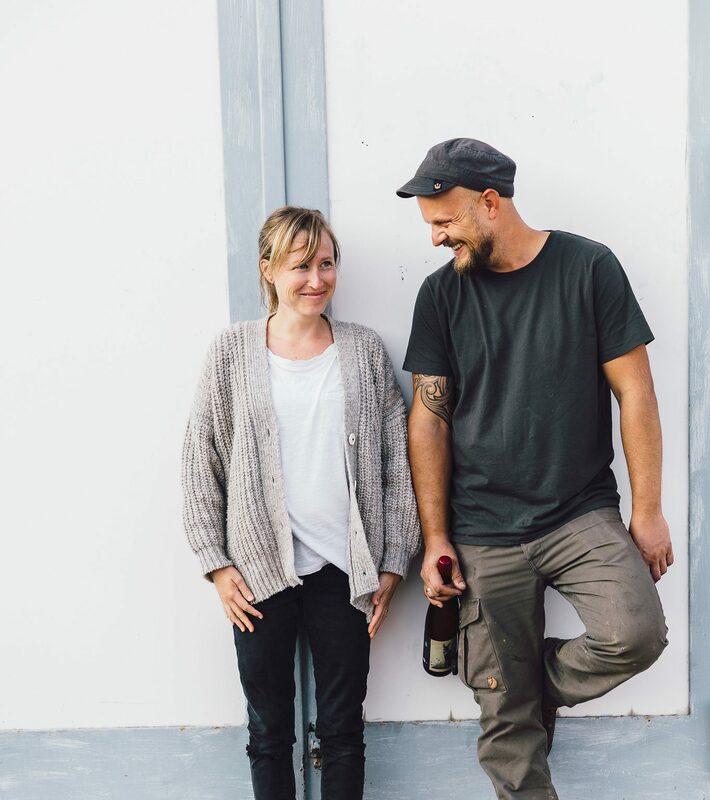 We came from London to Kitzingen leaving publishing behind to follow our mission: making natural wine with the intent of nothing added or taken away.